“Mobile App Testing” is a special form of software testing that involves applications for mobile devices. These have certain prerequisites and functions that must be taken into account and checked during testing. With the internationally recognised iSQI® CMAP Mobile App Testing - Foundation Level certificate, you can prove your extensive knowledge in the field of testing mobile applications. You can prepare for the exam by attending a training course with an accredited training provider for iSQI® CMAP Mobile App Testing - Foundation Level certification; participants will have relevant content and topics clearly explained and taught to them. After an introduction, the syllabus covers an overview of the “mobile world” and “mobile application test types”, “mobile application testing process & techniques” and “tools and automation”. The exam is also available on Pearson Vue for those who want to self-study. There are no specific requirements or required pre-certifications. Basic knowledge of software testing concepts is required. ISTQB® Certified Tester Foundation Level certificate is recommended. 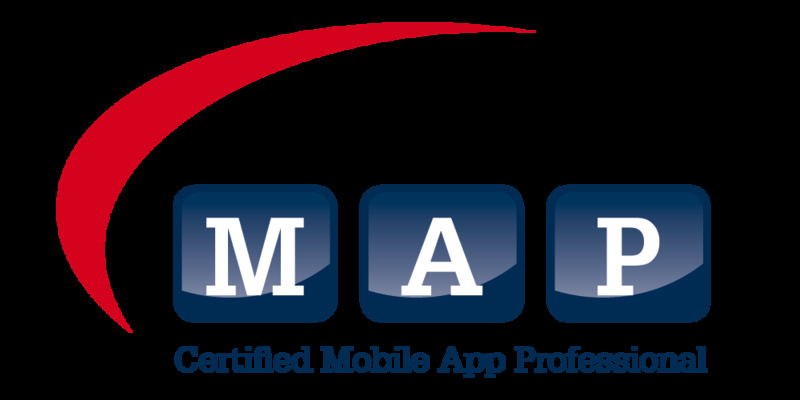 The iSQI® CMAP Mobile App Testing - Foundation Level certificate is a prerequisite for the iSQI® CMAP Mobile App Test Automation and iSQI® CMAP Mobile App Performance Testing certificates. Requirements: There are no specific requirements or required pre-certifications. Basic knowledge of software testing concepts is required. ISTQB® Certified Tester Foundation Level certificate is recommended.